Give Us a Call Today, We Look Forward To Hearing From You! 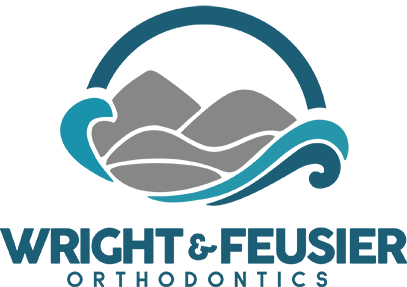 Wright & Feusier Orthodontics have a specially trained team that is dedicated to providing the best orthodontic experience possible, at a reasonable price. Whether you are looking for traditional braces or Invisalign in Santa Barbara and Buellton, California, we have an office nearby to serve you. Thank you for checking us out, and we look forward to meeting you soon! Experience: Dr. Wright and Dr. Feusier are certified specialists, meaning they focus all day, and every day on orthodontics and facial esthetics. At Wright and Feusier Orthodontics, we have treated nearly ten thousand patients, placing us among the most experienced orthodontic specialists in Southern California. A typical General Dentist who also sees orthodontic patients may have treated 25-100 patients. Training: In addition to receiving their Specialty Certificates, the doctors at Wright & Feusier Orthodontics have both earned their Master’s Degrees in Orthodontics. Dr. Feusier has also been Board Certified by the American Board of Orthodontics. Environment: At Wright & Feusier Orthodontics, we are committed to providing world-class results, all in a fun, friendly, comfortable, and affordable environment. Orthodontics is a big commitment, and you should feel very comfortable with the doctors and team that will be treating you. Our number one concern is that you are happy with everything we do! Schedule an appointment at Wright and Feusier Orthodontics for World-Class orthodontics and picture-perfect smiles!